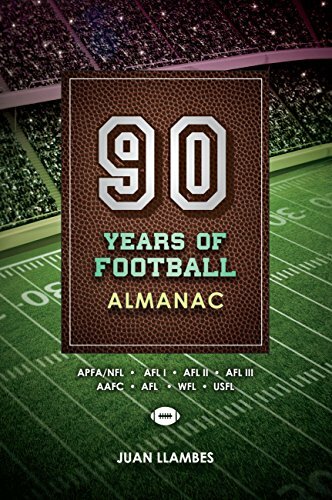 90 Years of Football Almanac is a compilation of historical information about football leagues and teams. Where and how they originate, standings for each year listing teams, coach, and quarterback by season from all major professional football leagues since 1920. It gives a brief description of team’s origins as they appear in history from leagues such as the APFA/NFL, AFL I, II & III, AAFC, the AFL of 1960, the WFL and the USFL. Find interesting facts about the origin and name changes of your favorite team. Learn about other teams and leagues and how they rose and fell throughout the years. The game of Football runs deep with stories about players, coaches and their teams and cities. From it’s conversion in the late 1800’s of the Scottish rugby game to today’s changes in cities and names of teams. Learn which is the oldest team playing today that was first established in 1898. What was the original city of the Rams, are they back home in Los Angeles? 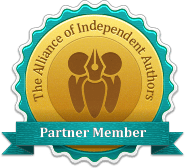 Why did the Packer enter the APFA/NFL as the Acme Packers? What team played in the Super Bowl for both leagues? Learn who are the four oldest teams still playing the game today. How they changed names ownership and locations. Who are they today. The Seasons section is created to allow the reader to not only see the standings for the year of a given team, but to also have the names of the coaches and quarterbacks for that year. With this, you can appreciate and see how coaches and quarterbacks move from team to team or remain with a given team year after year. You can also see how and when teams move from city to city or change ownership and names. Learn the notable events that have happened, like the creation of the fourth AFL league in 1960 and then the merger with the NFL 10 years later. How the NFL addresses disparity in the number of teams merged from the AFL, which teams change leagues and what are the leagues changed in to. How many leagues start and end after the 1970 merger of the NFL and AFL. Who starts what team and where. What coaches and quarterbacks play for these teams and then make a name for themselves in the NFL. The Almanac format allows the reader to visualize from year to year the changes in team names, cities, coaches and quarterbacks. Also to look at teams when they were strong in a certain time frame and with which coach and quarterback at the helm.